Is now open for people to upload pictures in the public gallery. We have disabled personal albums because it would just take to much diskspace. Approval for each image is necessary. 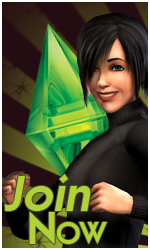 The image must not be blurred (pixilated) and it must be Sims related. If an image you've uploaded has been deleted, it's cause of lack of space. Feel free to rate the images and comment it. Great Idea! 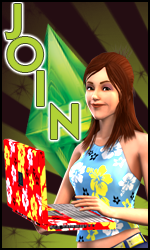 I love the new sims theme of this!